Add character to any digital paper or element by blending a crinkle to it. This tutorial will have you searching your stash for lots of fun elements to realistically enhance. 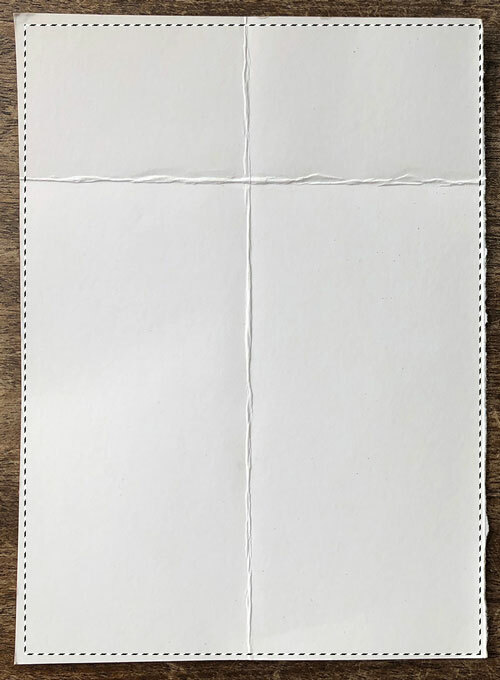 Gather some pieces of white card stock or copy paper. 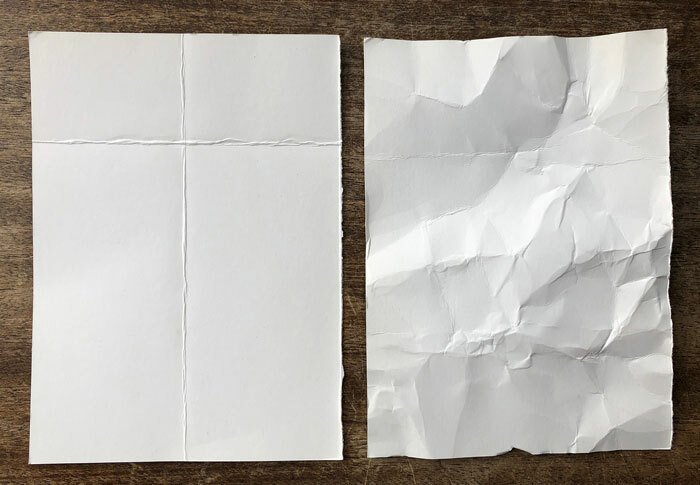 NOTE: The key is to use paper that is completely white. Any writing or stains are going to show up in the finished product. 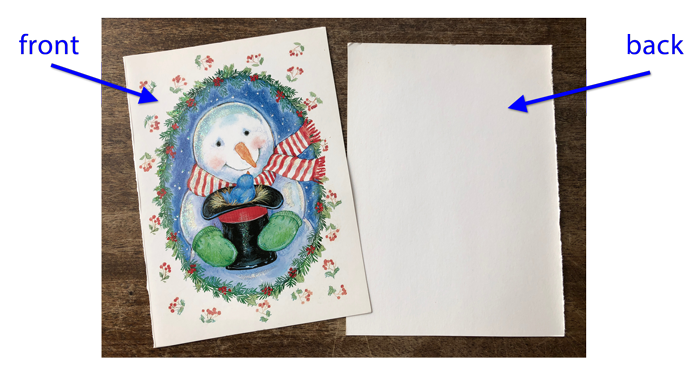 I’m using the blank inside of some old Christmas cards. They work great because they are thicker than copy paper and will create a more defined crinkle. For the creased example, I folded the paper backward and forward to create creases. For the crumpled paper, I wadded the paper up and then flattened it back out. Take a photograph of the crinkled paper. TIP: Place the paper on a flat surface next to a window. This provides great natural light with no glare and it will give your paper the shadows necessary to make a great texture. In the next two steps we’ll crop and save the photo you took so that you can use it over and over again to add texture to images, papers, and elements. 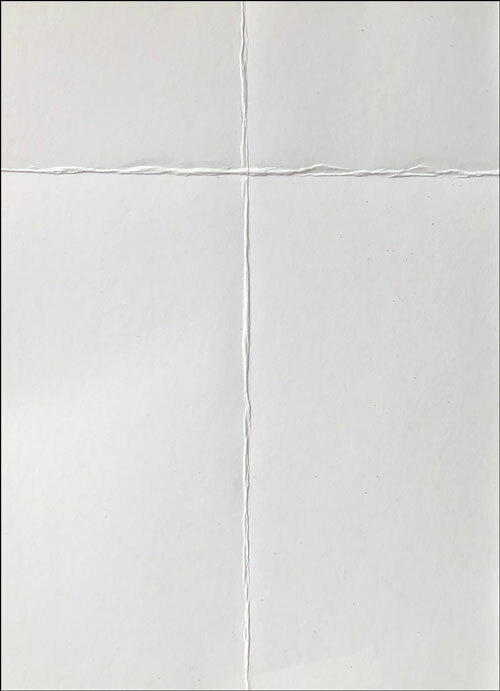 Open the photo you took of the crinkled paper. 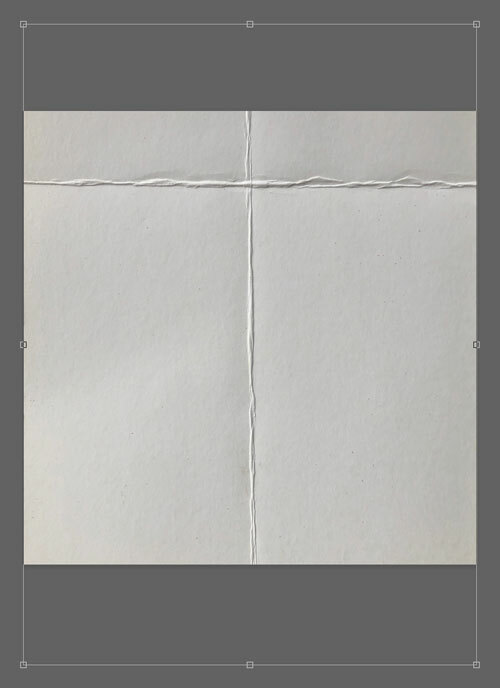 On the image, click and drag an outline just inside the boundary of the paper. To reposition while dragging, press and hold the Space bar. NOTE: Make sure no parts of the selection outline extend past the edge of the paper. For example, I do not want to select any part of my desk. Save the image (File > Save As) as a high quality JPEG file with a unique name. 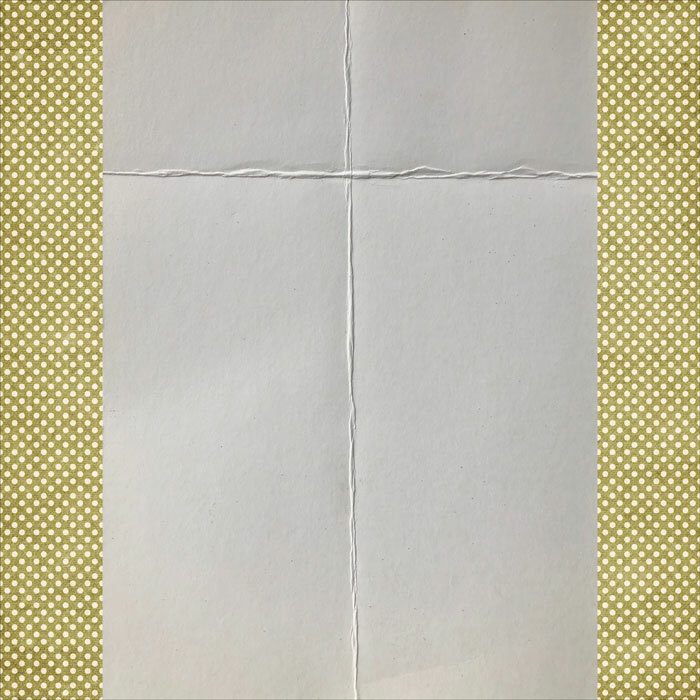 NOTE: I named my image “texture-paper-creased.jpg” and saved it in a folder called Textures within my scrapbooking stash. Repeat this process to save more textures. Open a background paper (File > Open). Note: To follow along exactly, download the paper I’m using at the top of this tutorial. Open one of the texture images you created in Step Three. 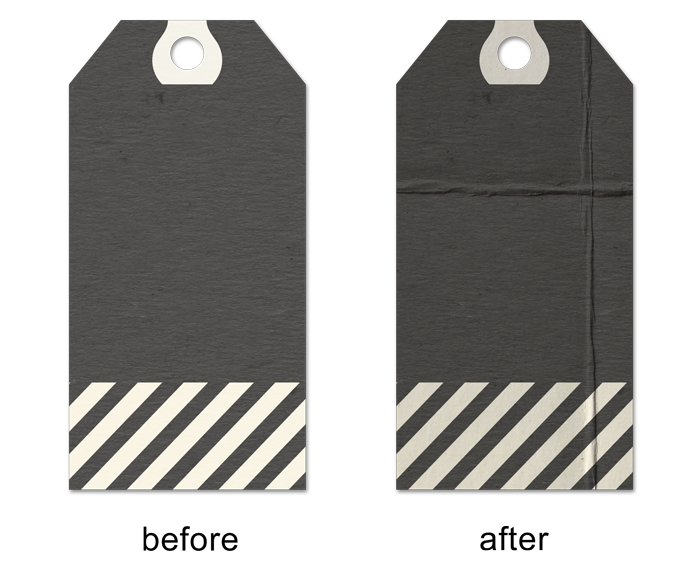 Holding down the Shift key, click and drag the texture image onto the background paper. 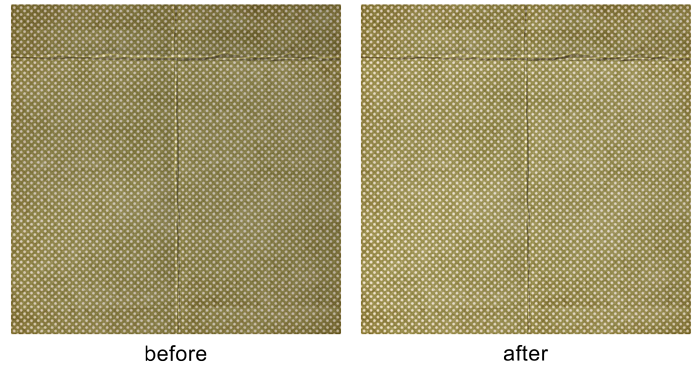 The size of your texture image in comparison to a 12×12 background paper will vary depending on the quality of the camera you used to photograph the paper. The goal in this step is for the texture image to completely fill the image you’ve put it on top of. 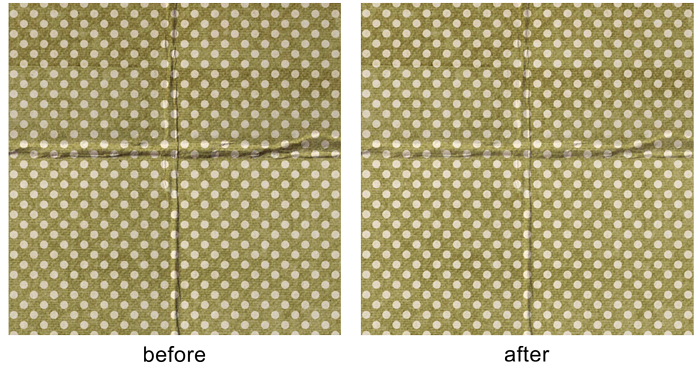 On the image, click and drag on the side handle of the bounding box to stretch the texture to fit the background paper. To reposition the texture image, click and drag inside the bounding box. Press the checkmark to commit. 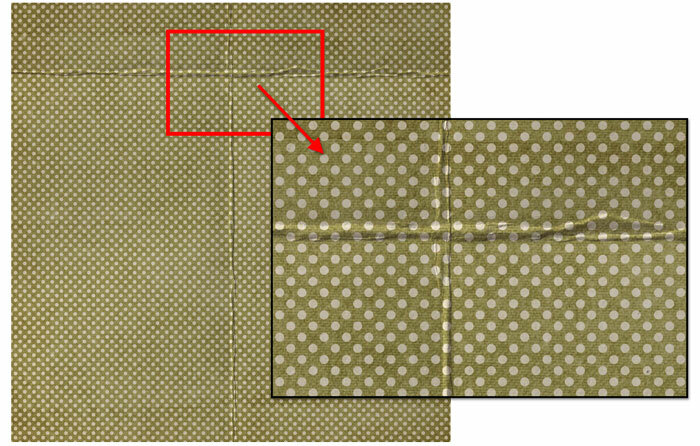 TIP: Make sure the texture image completely covers the background paper as shown below. In the Layers panel, change the Blend Mode of the texture image to Multiply. NOTE: Different combinations of texture images and background papers will provide different results. TIP: Try other blend modes for slightly different looks. This step is optional, but it will add more clarity to the final result. In the Menu Bar, choose Image > Adjustments > Brightness/Contrast. In the dialog box, move the Contrast slider all the way to the right and then click OK. In the Layers panel, reduce the Opacity of the texture layer to 50%. Complete this step if you’d like to save your result to use later. Save the image (File > Save As) as a high quality file with a unique name. 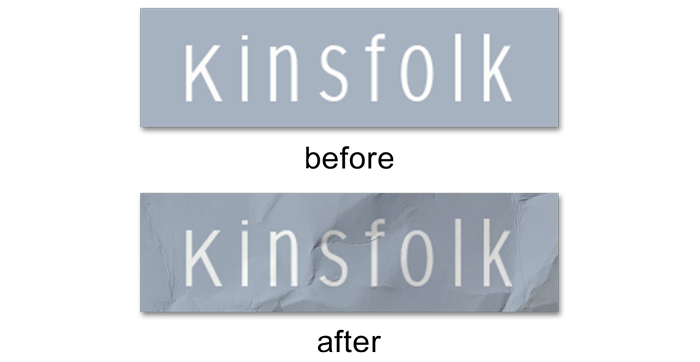 In this example I blended my texture image over a tag. When blending a texture to an image with transparent pixels, you will need to add one more step. Check back for the PDF Download. 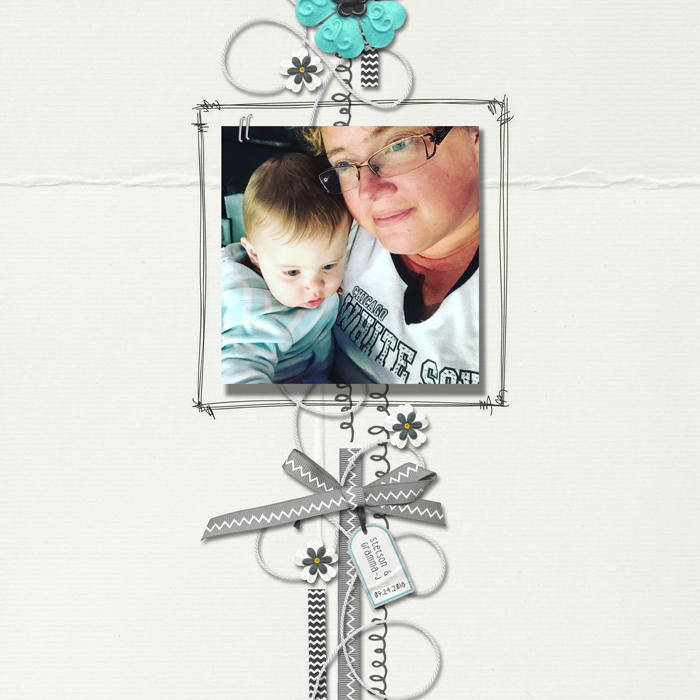 Whether you’re just getting started in digital scrapbooking or are self taught and want to fill in the gaps in your education, the QwikLearn Photoshop and Photoshop Elements Class will help you get up to speed FAST and become the confident, competent digital scrapbooker you deserve to be. This self-paced class will take you where you want to go and is available for Photoshop Elements 11 to 2018, and Photoshop CS6 through Creative Cloud. 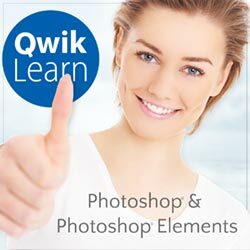 Learn more about the QwikLearn Photoshop class or QwikLearn Photoshop Elements class! This is super well done! Love it. I love this effect. Thanks Jen. Oooooooo so neat! Thanks, Jen. Love this tutorial and can’t wait to make some textures!